Replacing the V Series in the mid 80's the Siku Super Series of today has become the primary collection in the whole range, made slightly smaller but with no specified scale in mind. Each model in the Super Series is packaged in a blister packet consisting of a plastic molded window perfectly shaped to the model design and a flat cardboard backing. Each one displays the Siku logo, model number on the top left corner and all the necessary safety and legal marks detailed on the back. Well the Siku Super Series is widely recognised as 1:72 scale, it's not officially announced as so by Siku, but to distinguish the range from their whole collection, they do match up to a near perfect 1:72 scale and therefore this makes it easier from the buyer's point of view. Well the Super Series offers less detail than the 1:87 range, but equally well built models, you'll find Siku produced their own line of vehicles designed to their own modifications with no special licenses required. Siku's Agriculture collection in the Super Series is among the most popular choice in the whole Siku Super range, owning its popularity in farm toys today. Unlike Siku's Farmer Series, Siku Super is not based on any scale but each model measures up to a close 1:72 scale. Each model tractor and farm vehicle includes free rolling wheels, detachable driver's cabin and a standard hitch where available. Each farm vehicle is made from a die-cast with plastic parts and hard rubber tyres. Today, Siku Super extends to more than 20 die-cast farm models in the agriculture range with a few built from Siku's own design. Each one is built to a consistent small scale with few models reproduced based on real life manufacturers of today including John Deere, Claas, Deutz and Massey Ferguson. 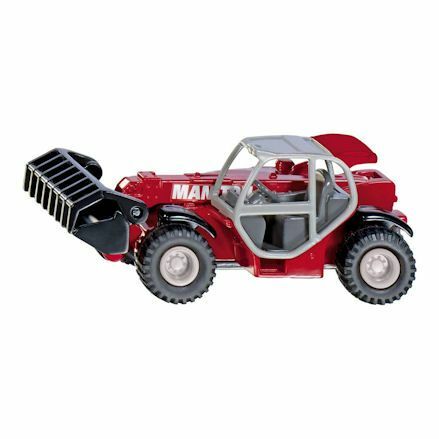 Well these toy tractors extend to more than 10 model designs, also included in the collection are combines, trailers and farm utility vehicles for extending play value. 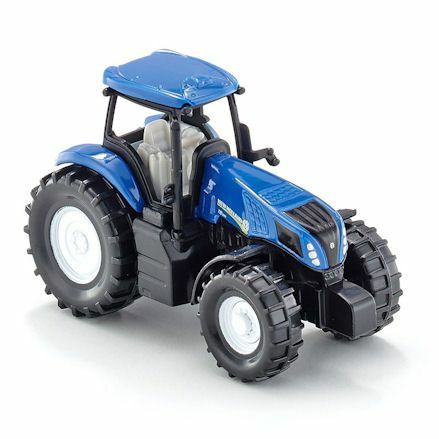 There are 11 toy tractors in the Super Agriculture range from a simple stand alone model to tractors with accessories such as a front loader. As standard, each model comes complete with a rear hitch for hooking up implements, detachable drivers cabin, free rolling wheels and intricate detailing. 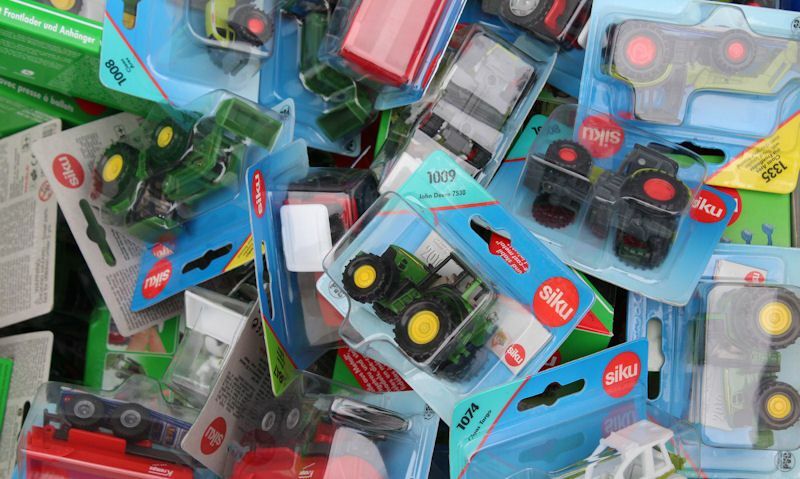 Siku Super produced all their toy tractors based on real life machines including John Deere, Claas, Deutz, New Holland, Fendt and Massey Ferguson available in the Siku Super Agriculture range. Unlike the Siku Super tractor selection, you'll only find 2 toy combine harvesters in the collection but they both provide real play value when your looking to expand the farm vehicle range. Siku's combine harvester is a model designed and produced from Siku's own specifications and is not based on any real life combine. Siku do produce a nice Claas Combine featuring authentic detailing and reproduced from the real thing. You can always extend play value with your Siku Super tractors with the introduction of a compatible farm trailer from a range of 5 models. 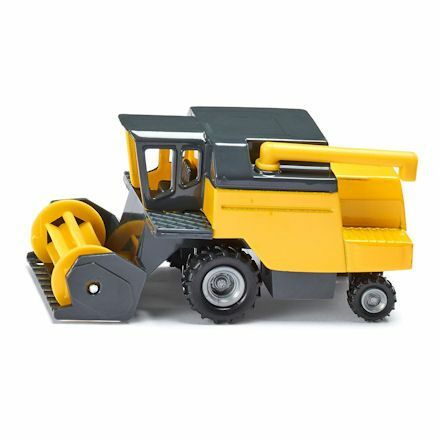 Well toy tractors work well as stand alone models, with a tractor trailer you can create a spark in role play all over again making real use of your tractor. 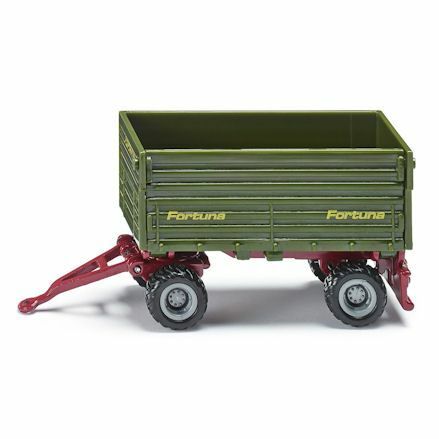 As you'll discover, trailers are made from less known brands, but you'll recognise a few on the roads today with farm trailers from Fortuna and Krampe including a toy tractor and trailer set from Deutz Fahr. Often you'll need a few more farm vehicles to complete various agriculture jobs and this includes transporting hay bales and farm sundries to and from the farmyard into the fields. Help is out with the use of farm utility vehicles, specially made to carry out important jobs conventional tractors are not designed for. With only one utility vehicle available in the range, you'll come across a Siku Claas Telehandler with a functioning extending arm and bucket like you get on tractors. Siku's Bus and Rail models once again includes 20 toy in the series including all sorts of city and travel buses to trams and trains branding a company logo they represent. Unlike the usual toy trains and trams needing a rail to move, Siku produce their models that work just as well on the floor with no limits. 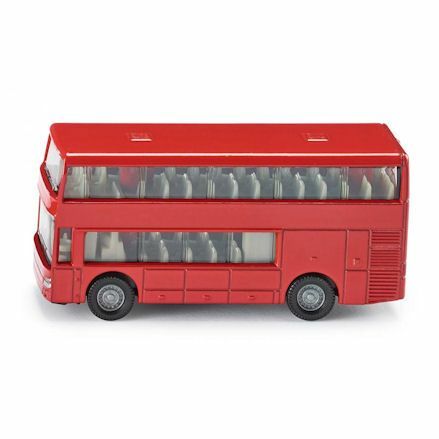 Although the Bus & Rail selection from Siku do vary in size and not just limited to 1:72, so you can expect to find 1:87 scale and even smaller but they do match up to a close size. Well only 6 models are including in the Camping & Leisure category, they are certainly not without great play value with each one providing the ability to excite and extend play in other categories. Most vehicles do come with a matching trailer but for any horse lover you'll find a Jeep with a horse box, or a horse trailer as a stand alone product. These models compliment your farm vehicles range well going back and forth from the farmyard to the stables. Listed on the Siku website under 2 separate categories we can't help think both the Cranes and Road Works vehicles range should come in one category, simply called Construction vehicles. Under the Cranes category you have 2 Super Cranes with additional 7 construction vehicles presented under Roadwork's. 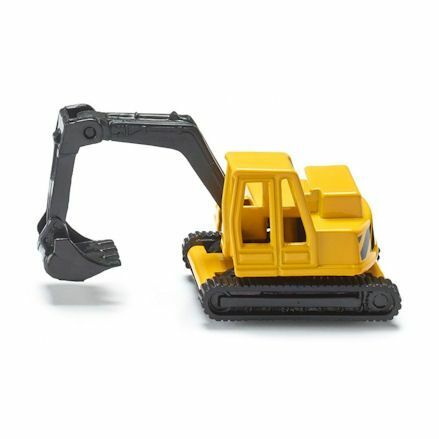 Each model include functioning parts with a few of the vehicles produced under license from major construction vehicle manufacturers. Siku's Super Police and Emergency Rescue range includes a total of 35 models, making them one of the most popular range in the Series. The Police collection includes a total of 17 toy police cars and vehicles with the Emergency Rescue range offering 15 models. From NYPD to German and Worldwide police forces, they are all included in the selection. Emergency Rescue include a whole selection of vehicles from airport fire trucks to city fire rescue and helicopters. 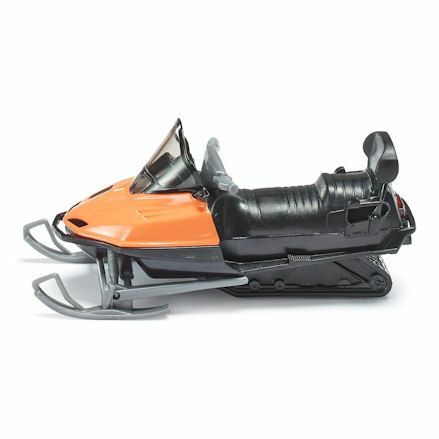 Build up a collection of your favourite Super Series toys in one from Siku gift sets which includes 5 various vehicles in one. 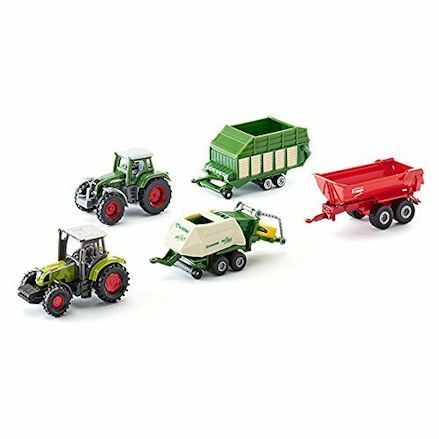 In the 5 Agricultural Vehicles Gift Set it includes various farm vehicles with the toy tractor set complete as a 5 Tractors Gift Set which includes the same tractors all currently sold separately. 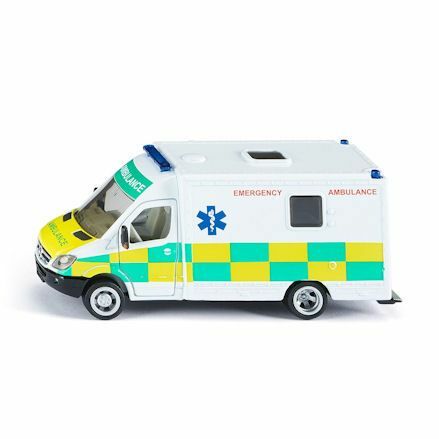 Siku box sets include sports cars, construction vehicles, emergency services and train sets complete with trains and carriages. A combined total of 7 vehicles are available in both the Winter Services and Local Community Services category featuring vehicles commonly used by local authority. 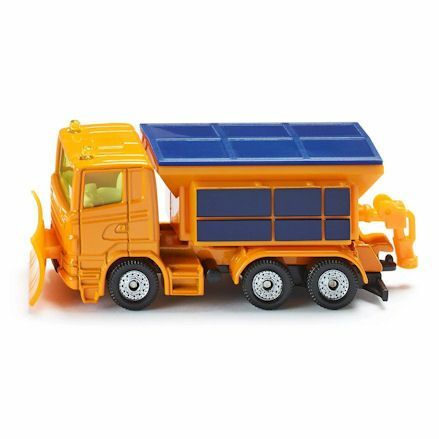 These include refused and trash disposal trucks with grit and snow plough vehicles for the winter. 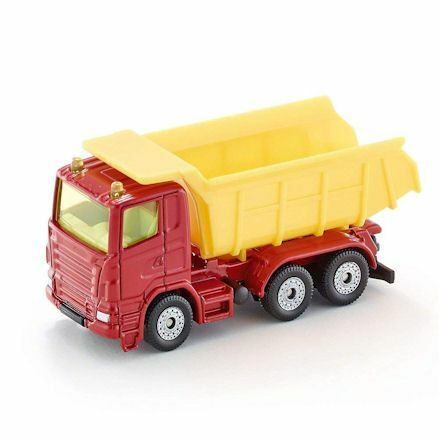 Each toy vehicle presents it's own features including accessories for carrying on the back, trailers for hauling behind vans and free rolling wheels on every model as standard. 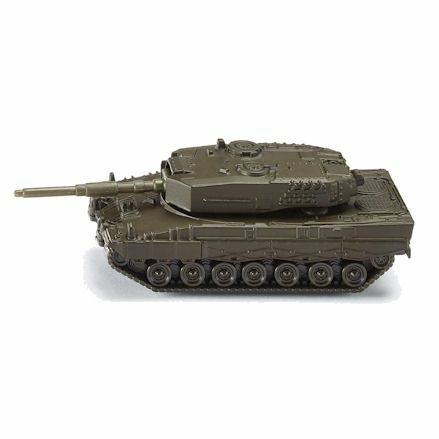 Build up your army with a selection of monster toy military vehicles for going to battle. As with most militaries you'll find a tank for the battlefield, helicopter for air assaults, armoured reconnaissance vehicle for spying on the enemy and a couple of jet fighters for taking down planes. The models are usually finished in different shades of green presenting military colours with a whole range of features. 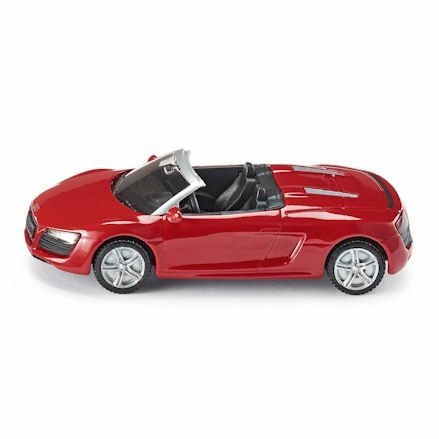 Go with traditional with a selection of popular die-cast toy cars as a similar size to classic matchbox toy cars. The range include super sports cars from Siku's own design with toy cars from manufacturers such as Porsche, Hummer, Mercedes and even BMW. Well they may not feature intricate detail found on the larger toy cars you can rest assured these cars are made with solid construction and are well built. In any toy car collection your sure need to include a few different types of vehicles to keep the role play fresh and exciting with the prospect of new vehicles introduced. You'll be pleased to find Siku Transporters and Loaders in the Series will provide plenty of action with big lorries hauling long trailers capable of pulling cars, combines and even boats on the back for transporting to its destination. Your usually find each lorry has a folding down rear tailgate for loading and offloading. Like most toy vehicles, additional accessories are vital to keep role play going and extend play value in each range. 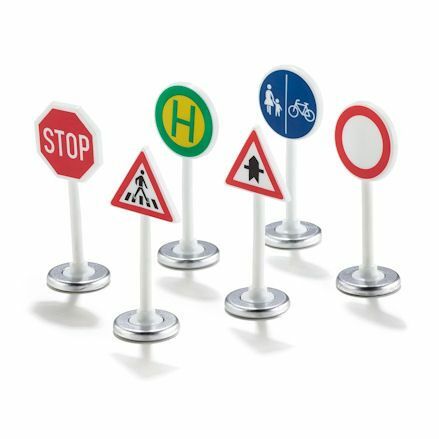 For general toy cars and vehicles road signs will make the perfect compliment. Simply playing with cars on the carpet are a thing of the past as road safety is now required when toy road signs are added to play. Siku's Super Accessories also extend to their other series so there's a little something for everyone.